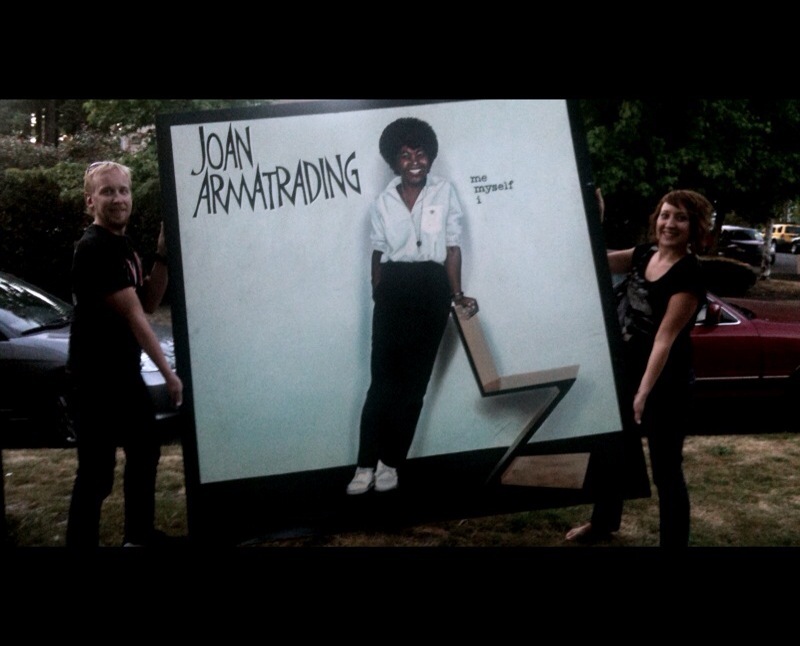 Just stumbled upon this giant painting -yes an actual real painting- of lez folk legend Joan Armatrading at the corner of 14th and Olive. This lucky gal decided to haul it home to hang in her apartment. Mildly fascinating as far as Capitol Hill standards of weird stuff you find on the street go, no? But here’s where it gets weirder. The same painting — or its twin! — was spotted on the street about two weeks ago. We’re assuming somebody changed their mind following their late July treasure score. Or another mystery monotlith project. Or somebody has moved on from their chalk on cobbles project. 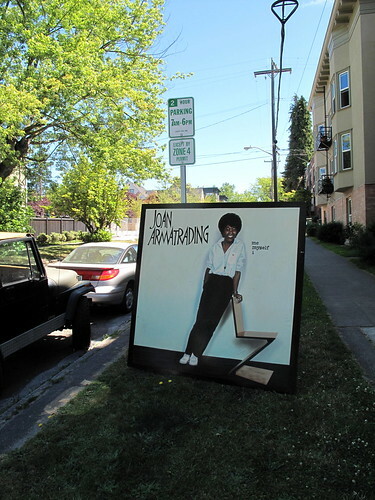 Joan Armatrading has moved into the hood!, originally uploaded by ERIK98122. Joan is in town on Friday night at The Moore. And it’s Friday the 13th. Tickets in hand. We’re goin’! Glad you liked it. It was from a cleanout of our basement (we’re the Wilana Cooperative, and that corner is actually 15th & Howell). Come by tomorrow (Saturday, 8/14) morning for a yard sale of more amazing goods from our basement. Furniture, a couple hundred feet of brand new linoleum tile, and much much more. We will not be undersold!